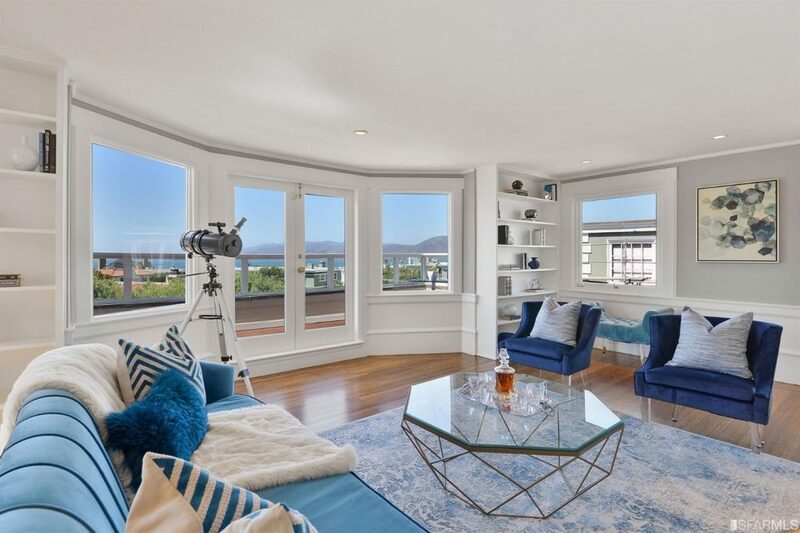 Stunning views of the Pacific Ocean, the sweeping Marin Headlands across the Golden Gate, and the windswept Lands End shoreline give this stately residence in San Francisco’s Sea Cliff neighborhood a remote and romantic air. 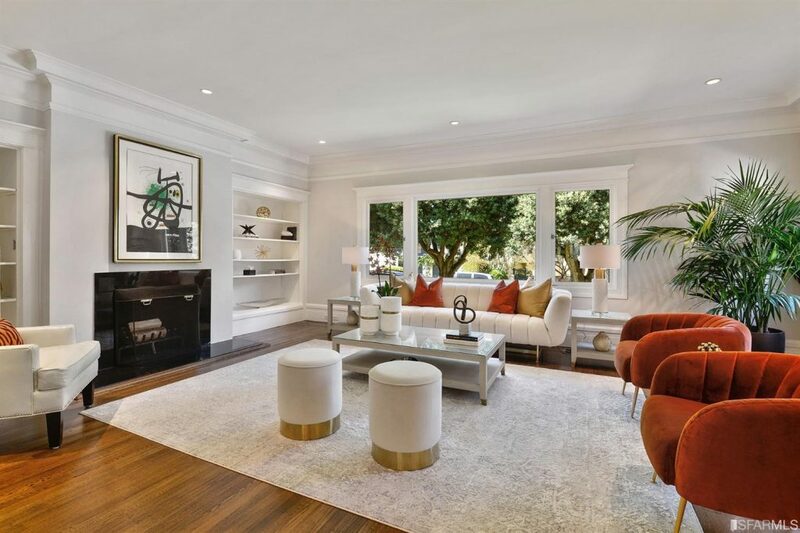 Set on a prime block in the exclusive Sea Cliff neighborhood, 34 Twenty-Fifth Avenue is a stately 1914 Georgian residence on a 10,250-square-foot, fenced, gated lot that backs up to the Presidio. 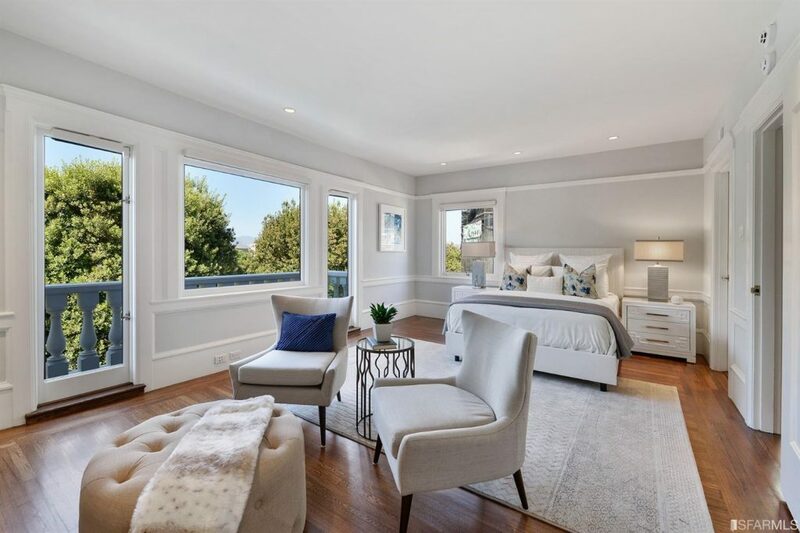 Four levels of living space totaling approximately 5,725 square feet are accented by rich hardwood floors, elegant crown molding, leaded glass, French doors, and six fireplaces. 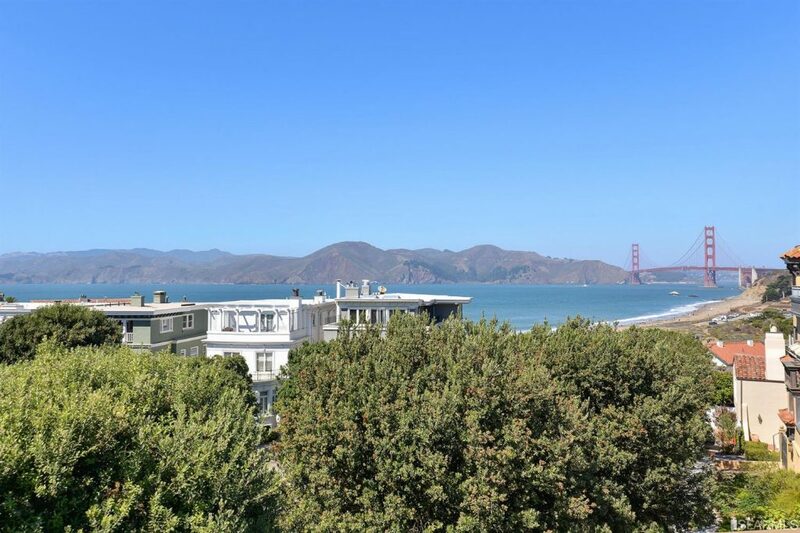 The beautifully updated living areas include a light-filled living room, a penthouse room that opens to a spectacular view deck, an impressively sized dining room with original built-in cabinets, and a fireplace with cozy inglenook seating. 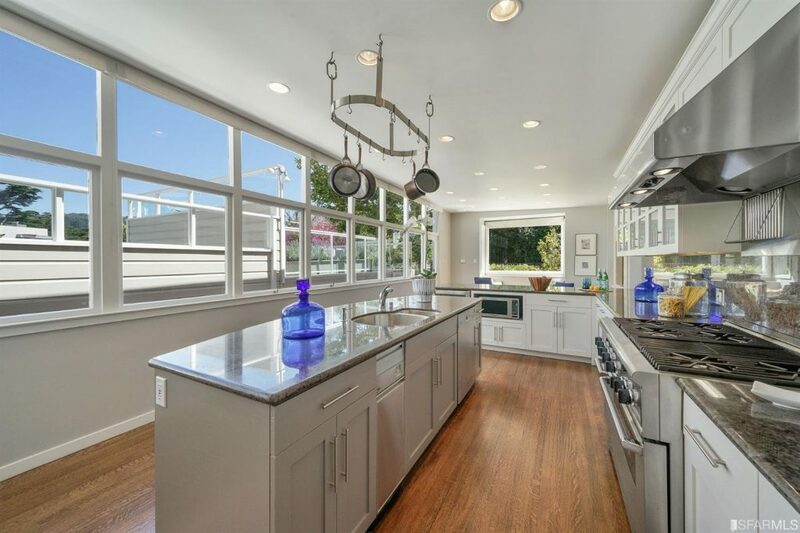 The welcoming kitchen with island and breakfast bar peninsula opens to a den, a spacious deck, and a yard. A wall of windows links both spaces. There are five bedrooms, including two master suites and a top-level retreat, plus an office or nursery. 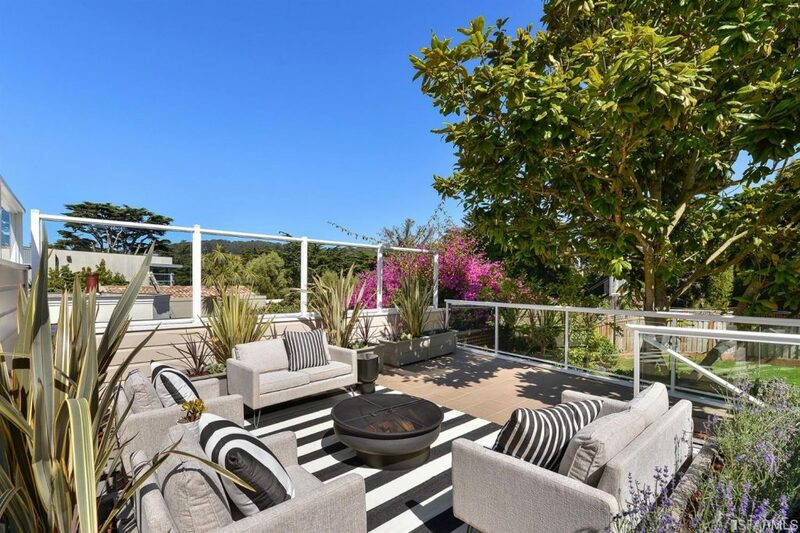 Outdoor areas include a sunny patio and a sports deck. There’s a roomy two-car garage, plus a large driveway that accommodates three or more vehicles. 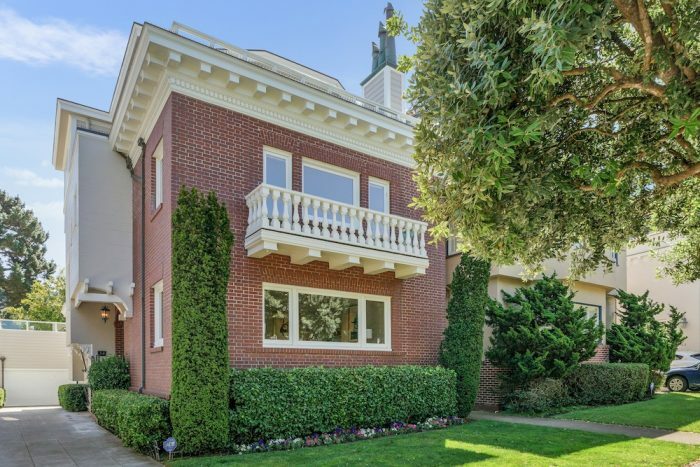 This quintessential San Francisco treasure is listed by Beverly Barnett at $7,450,000.